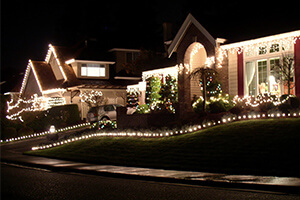 Few things are more festive than a beautiful display of holiday lights on a home or business. What’s not so festive? Putting up (and taking down) those lights yourself! Discover trusted Neighbourly professionals who can expertly install and remove holiday lighting. Your home, business, and/or landscape will be warm, inviting, and safely decorated for the holidays without the hassle of hauling out the ladder and battling the elements.